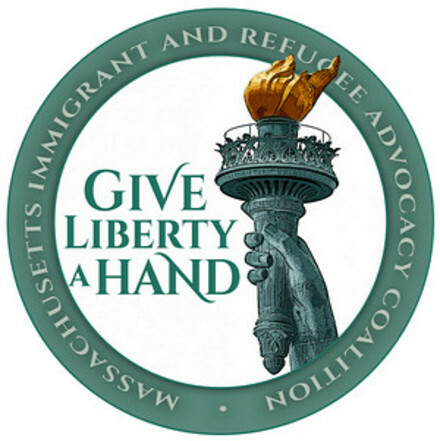 Give Liberty a Hand is MIRA's biggest fundraiser of the year and our celebration of champions for immigrants in our Commonwealth – leaders in government, business and advocacy who "give liberty a hand" by working to advance the rights and integration of immigrants and refugees. This year we are honoring Mohamad Ali, president and CEO of Carbonite; Congresswoman Katherine Clark, a champion of Dreamers, TPS holders and all immigrants on Capitol Hill; and José Palma, co-founder of the Massachusetts TPS Committee and coordinator of the National TPS Alliance. Join us for an inspiring evening with hundreds of MIRA members, partners and friends! All proceeds from the event will go directly to MIRA's work advocating for pro-immigrant policies at all levels, organizing and building capacity across Massachusetts, and amplifying the voices of immigrants and refugees. If you'd like to be an event sponsor, please use this form! Download this sheet for detailed information about sponsorship packages. You can also make a donation without buying tickets – but please join us if you're in town! It's a great event.